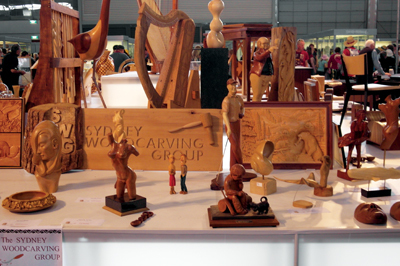 In 1993, four woodcarvers â€“ Maricha Oxley, Robert Howard, Enn Muller, and Fred Blake â€“ got together to demonstrate what they do at the annual Timber & Working With Wood Show in Sydney. They took the names of people interested in joining a group to promote woodcarving. This was how the Sydney Woodcarving Group (SWG) was formed. Maricha and Enn are still very active in the group, though very busy with commission work and taking part in various exhibitions. 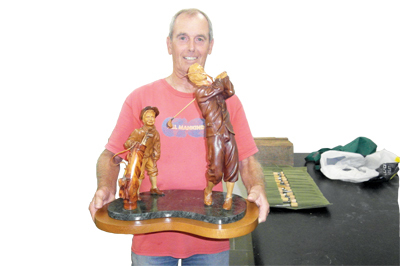 Enn has, over a number of years, taught his skills to many people in the workshop he shares with the Shellharbour group, and is also the official Woodcarver for the Australian Navy. 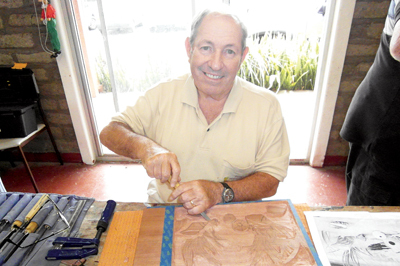 Maricha is a well-known carver teaching woodcarving and sculpture in Sydney. The SWG now has in excess of 85 members and meets regularly in four locations: Chester Hill, Epping, Lilli Pilli and Shellharbour. From each group, members are selected to form a committee which holds a meeting on alternate months at each clubhouse. Itâ€™s key to have interaction between the groups, and members travel to each location throughout the year. In Australia, woodcarving has few practitioners, compared with woodturners, furniture makers, musical instrument makers and restorers. Carving is not well known, so when an exhibition is held people are amazed at the talent on show. We like to be out there talking to the general public, demonstrating, selling carvings and encouraging future members, especially younger people. A hands-on approach, where members supervise the public in carving a small item, attracts new members. Every year, we participate in the Timber & Working With Wood Show - this is the premier woodworking show for the year, where we have established a presence for the last 20 years. Woodturners, furniture makers, boat builders, high school students and demonstrators are all part of the event. 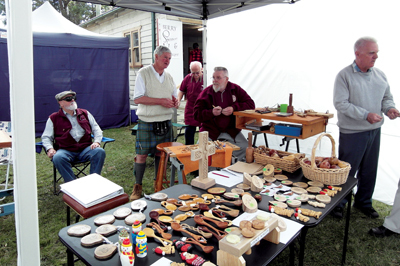 It is an opportunity for woodcarvers to buy timber and tools, or stock up on accessories. An internal competition is held for SWG members, which offers them an opportunity to improve their own standards. SWG was invited to demonstrate at the Sydney Royal Easter Show, the major agricultural show in Australia. It was a great success for us and we received many enquiries from it. This show attracts approximately one million people over 14 days, so our members had an opportunity to promote their talents to a very wide audience. Each group also holds exhibitions and demonstrations throughout the year in their own areas, and this has been a great tool to attract new members. Weâ€™ve also supported various charities over the years. Through the raffle of donated works weâ€™ve raised funds for the Sydney Cochlear Implant Centre, the Sydney Childrenâ€™s Hospital, as well as other local hospitals. Every year, each group holds a workshop where guests are invited to demonstrate their particular expertise. 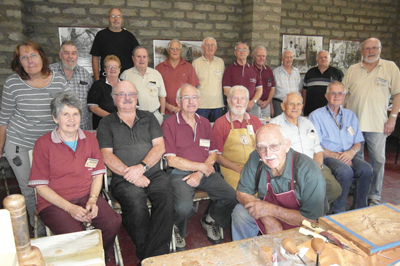 We have had workshops on making violins, finishing, French polishing, sharpening, fan carving, power carving and pyrography. Interaction amongst groups is essential for any organisation â€“ SWG is only as good as its members want it to be! The interaction between members at the workshops is interesting; you never stop learning. This year, as part of our 20th anniversary, each group was given the task to make a box and carve five of its sides. This resulted in four boxes being ready for the Sydney 2013 Timber & Working With Wood Show where we displayed and raffled off the boxes. Making these boxes was a great way for new members to participate and work with a more experienced woodcarver. Today each venue has a bandsaw, sharpening equipment and, most importantly, comprehensive toolkits that new members are welcome to use until they decide on their own requirements. A range of projects, suitable for complete novices, are available with timber, instruction booklets and expert supervision provided. Private lessons can also be arranged with any of the professionals within the membership ranks.